The scientific name for a panda - Ailuropoda melanoleuca - means “black and white creature with cat feet.” This is true as far as it goes. Many people have seen the round, compact snowy white body with black eye patches, arms, legs, and ears that make the animal look like a huge cuddly toy. But there are other characteristics that are not as well known. Pandas look like they have a thumb, but what looks like a thumb is actually an extension of their wrist bone that is covered with flesh. This “thumb” works like a real thumb in that it helps the panda hold stalks of bamboo, the plant that it eats almost exclusively. Because bamboo is tough and fibrous, pandas need to have powerful jaws to eat it. So they have something called a sagittal crest on top of their skulls to anchor their jawbones. Gorillas also have this because gorillas also need to chew up tough plants. Unlike other bears, which eat just about everything and are omnivores, giant pandas have large, flat back teeth that are adapted to chew their bamboo. A panda is about two feet high at the shoulders, usually weighs between 175 to 275 pounds, and ranges between five to six feet long. 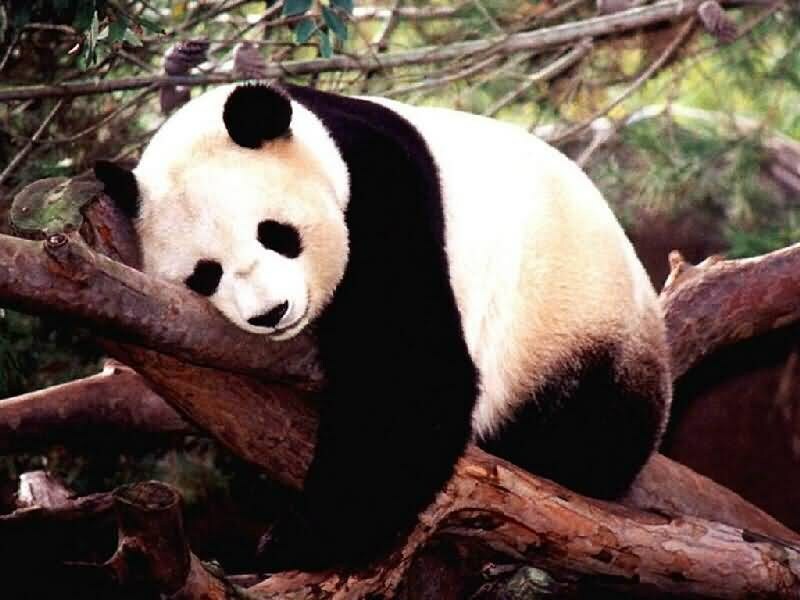 The oldest panda on record lived to be 34 years old, but it was in captivity. Scientists are not sure about how long pandas can live in the wild, but they suspect it is less than half that.